Poblano chiles, stuffed with cotija cheese and chorizo sausage, baked in an egg and cheese casserole with tomato sauce. Classic chiles rellenos are green chiles, blackened and outer skin removed, stuffed with either cheese or a pork sausage picadillo, dipped in batter, fried in oil, and often served with a thin tomato sauce. I grew up loving the chiles rellenos my mother made for us. The only problem is that they are a bit tricky to make; they can sometimes get soggy with the oil. And they can be a bit rich with all that frying. This recipe for a chile relleno casserole skips the steps of dipping in batter and frying, and instead bakes the stuffed chiles in an egg batter. The recipe is based on one from Sunset Magazine; our main adjustment to the original is to include a tomato sauce base to the casserole. To us, chiles rellenos taste better with a light tomato sauce, and they do in this casserole as well. Feel free to play around with the stuffing, Mexican chorizo is great for this, but we've also used hot Louisiana pork sausage. Or you can skip the pork all together and just use a jack cheese stuffing. Note that this casserole serves 8; you can easily cut the ingredients in half and use an 8x8 dish for the casserole. 1 Char the whole poblano chiles: The first step is to char the outside skin of the poblano chiles. The easiest way to do that is directly over the flame of a gas burner (see How to Roast Chiles over a Gas Flame). You can also do that over a grill, or in a broiling pan under a broiler (don't use a thin baking sheet or it will warp under the high heat). Just put the chiles close enough to the heating element so they char and blister on the surface. Turn the chiles so that they get completely blackened all around. Place the blackened chiles in a bowl and cover with a plate or damp towel. Let the chiles steam in their own heat for several minutes. 2 Sauté onion, garlic, add tomatoes, salt, and simmer: While the chilies are cooling, heat olive oil in a large sauté pan, on medium high heat. Add the chopped onion and cook until translucent, about 5 minutes. Add the garlic and cook for a minute more. Add the tomatoes (break up any whole tomatoes before adding to the pan). Add a pinch of salt. Bring to a simmer and lower the heat to low. Gently simmer for 15-20 minutes. Remove from heat and set aside. 3 Peel the blackened skin off the poblanos: Carefully peel and discard the blackened skin off of the chilies. Cut off the stem ends. Carefully remove the seed pod without tearing the chiles (which you will stuff later). 4 Cook the chorizo: Put the Mexican chorizo in a large frying pan and set the heat to medium high. Break up the chorizo with the edge of a metal spatula as you cook it. Cook until cooked through, about 4 minutes. 5 Spread tomato sauce over bottom of baking dish: Preheat oven to 375°F. Spread the tomato sauce over the bottom of an 9x13 inch baking dish. The tomato sauce should be the consistency of a thin spaghetti sauce. If it is too thick, thin it out with a little water. 6 Make stuffing: In a large bowl, mix together the stuffing of the cooked chorizo, cotija, and oregano. 7 Stuff chiles with chorizo mixture and place on top of tomato sauce in the baking dish. 8 Whisk eggs, flour, baking powder, salt: In a large bowl, vigorously whisk the eggs. Whisk in the flour, baking powder, and a pinch of salt. 9 Sprinkle chiles with cheese and pour egg mixture over them: Sprinkle chiles with half of the jack or cheddar cheese. Pour egg mixture over chiles and sprinkle with remaining cheese. At this point you can make ahead and chill for several days. Add 10 minutes to cooking time in the next step if you make ahead and chill. 10 Bake: Bake at 375°F until top starts to brown and the eggs are set but still soft, about 30 minutes. Hello! All photos and content are copyright protected. Please do not use our photos without prior written permission. If you wish to republish this recipe, please rewrite the recipe in your own unique words and link back to Chile Relleno Casserole on Simply Recipes. Thank you! Yum! Reasonably easy and very tasty! This is a good recipe, very tasty. I did a couple things different though. I wanted to make this Keto friendly, so I substituted the flour for coconut flour (which I would NOT do again, because that was so hard to mix in the egg mixture. Next time I would try almond flour or something). The other thing I did was 2/3 chorizo with 1/3 ground beef (93%). I find that some chorizo can be a little to greasy and wanted to cut that down a little bit. I think this turned out really well. Although I wouldn’t say it hit my chile relleno craving, I would probably make this again. It is a bit time consuming, but the flavors are worth it and it’s not your average casserole recipe, so having something a little out of the ordinary is kind of fun. I need this for a small company party. 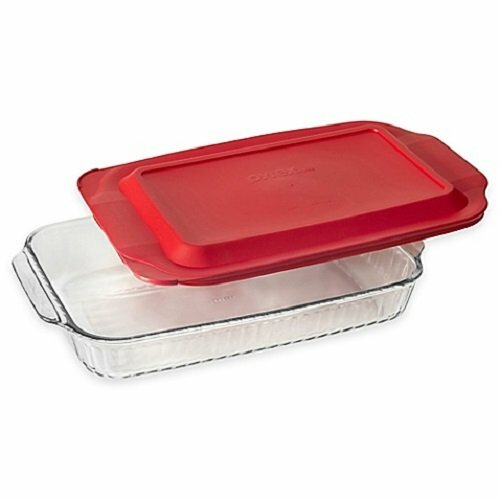 Will I need 2 baking dishes? To make 2 batches? How close is this to the real thing? Hi Jessica, if you make 2 batches, I would use 2 baking dishes. As to being close to the “real thing”? As far as I know, chile rellenos are not prepared as a casserole. I had them growing up as individual stuffed chiles, battered and fried, and served with a tomato sauce. So, no, the casserole isn’t traditional, but it is very good, and easier to make for a gathering than regular chile rellenos. Thanks for our great meal. Only thing I do differently is stuffing the peppers with cheese and whatever left over shreeded beef, chicken, rice and even roasted corn. Just depends what’s hanging out in the fridge. I dont have baking powder. Can i still make this recipe? Hi Donna, yes you can. It won’t rise as much but will still be great! I stuffed the pablanos with vegetarian chorizo, chicken, onions and garlic mixed together. Well….the casserole came out of the oven looking spectacular. We tasted it and decided it is definitely worth all the work. Will be making it on occasion….tho not often because it takes a lot of time and patience. 5 stars for flavor….2 stars for ease. I wish I could post a picture. It was beautiful! This is much harder than I expected and I’m a good cook! The pablanos were so soft….maybe I grilled them too long? It’s still in the oven so we shall see if the effort is worth it or if I should just enjoy these at a restaurant. Jury is out for now. I made this using six custard cups, split it six ways, baked just like you would egg custard dessert, 30 minutes in a pan of water, it was amazing!! I made this recipe Saturday. I doubled the amount of meat for my carnivorous group, but the chub pack of chorizo I had looked like canned dog food and tasted like an old jar of paprika. So I tossed it and ran to grocery store, bought hot Italian sausage and rushed home. I added half a cup of diced onion, chopped garlic, and a half tsp each of cumin, coriander, and cayenne, and 2 tablespoons of smoked paprika. Big Winner. Hi Sandy, I’m so glad you checked the chorizo first before putting it in the dish! So many cooking disappointments would be avoided if people just checked their ingredients. Good to know it works with hot Italian sausage. Oh, no! That would be so disappointing. Johnsonville makes a great chorizo—it’s the same consistency as their Italian sausage. Give it a try next time! Can you put this together a day ahead and do the cooking the following day or does it have to be baked right away? Hi Judy, great question! I haven’t tried cooking it ahead. If anyone else has, feel free to chime in. I am considering making the full recipe in 2 smaller pans and cooking one for us now and freeing the other pan for later…would this work with the eggs? I have done this successfully with casseroles that include eggs mixed into a sauce, but never with plain eggs. Thank you for any advice. And… If you happen to have left overs…. No…. You’ll have do a double batch… Make burrito add some refried bean sprinkle some cheese warm up…. and pig out! they are to die for…. I just did recipe, I loved it!! Will definitely do again, I opted for no meat so replaced with more Cotija cheese and mushrooms to make it meatless! I used dried oregano. Thank you so much!! I just made this, but I layed the poblano peppers flat after opening them up, then covered with 4 different cheeses and continued to make layers till no more Chile, then covered with the egg mixture. Haven’t eaten it yet, as it is still baking. Cross your first.gets, cuz I just winged this recipe. I used pepper jack cheese in this recipe. It gave it some needed heat. We love this. I substituted soyrizo and goat cheese crumbles and it was SO good! I also cut open the peppers and just folded them around the filling rather than stuffing them. Worked great! My friend who is from El Salvador tells me they stuff their rellenos with meat and cheese. So maybe but Mexican, but Salvadorian? ;) Anyway this recipe was a HUGE hit! My husband, 4 years old, and 20 month old cleaned their plates! So delicious, and much faster/easier than making chili rellenos, yet just as satisfying. I will be making this again and again! Thanks! Prepped this last night and made it for lunch today. Turned out very, very good. I used El Patio tomato sauce and longanisa instead of chorizo (not being a fan of the lower quality sausage that most chorizo is.) 2 small things I’ll do next time: 1. Make my own chorizo and 2. Use a tad less tomato sauce. I found it a bit too soupy on the bottom.